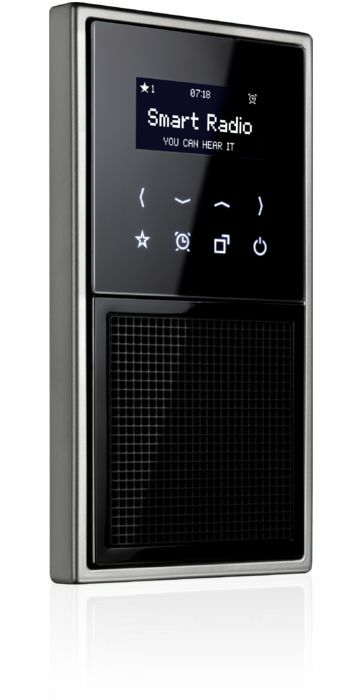 The JUNG Smart Radio in switch design stands out technically and visually with its black or white touchscreen display featuring a unique glass front panel. Shortcuts provide fast access to the alarm and sleep timer function and the list of favourites. The brightness of the display and buttons can be individually adjusted as required for radio operation or night-time mode. In night mode, the buttons and display are completely dimmed, so the unit may be installed directly by the bed without any problems. 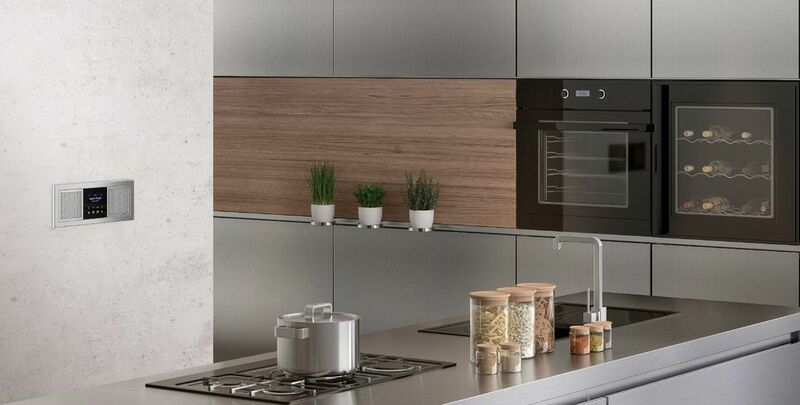 Its features are completed by satellite and auxiliary inputs. The time is automatically synchronised In RDS reception mode. The JUNG loudspeakers with their integrated bass reflex tubes ensure best stereo or mono sound quality. The external antenna (optional) provides optimum reception even in difficult reception conditions. The satellite input of the radio also allows the unit to be switched on along with the room lighting. The Smart Radio is available in the AS, A, CD and LS design series to fit smoothly into the existing electrical system. The range extends from exclusive metal variations to coloured glass or plastic frames.